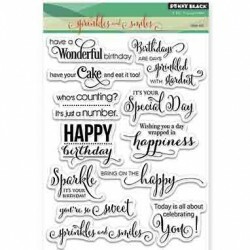 Happy Wishes Clear Stamp Set by Penny Black. 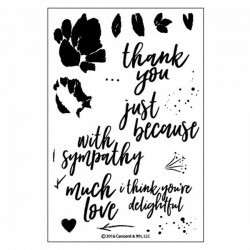 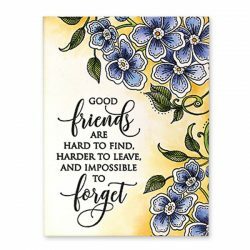 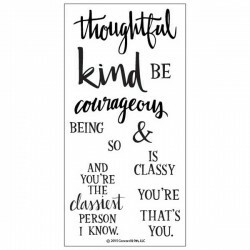 This set of sentiments is perfect to adorn any card or project. 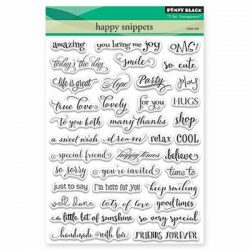 Stamp Set measures 5 x 7″and includes 6 sentiments.